Northwest Music students: Please call 0400-608-177 fro student prices. 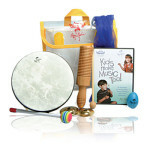 Finger Cymbals: These smooth, finger symbals are safe enough for babies yet have the sound that professionals want! The hands cant pull out! Guiro Tone Block: With mallet, this thick tone block is made of selected hardwood with a natural finish. Scratch the ribs or strike with mallet fro two completely different sounds kids will love! Shaker Egg: Perfect for little hands, this easy to hold shaker produces a crisp, rhythmic sound. A little heavier than most shaker eggs, one reason why it is the best! Colourful Scarf: Great fro creative movement and dance sure to bring smiles to all ages! See through fabric makes this especially fun for young children! Lynn Kleiner Hand Drum by REMO: With rainbow mallet, this high-quality durable drum makes it possible to create all kinds of sound! This is no toy but a first class instrument! Kids love the look and sound of this shiny unique drum.